I know it’s been a while since my last post but I’m really excited about this one and those to come. I have been pretty busy the last couple months, working on a farm for a couple weeks and then preparing for and settling into college at Middlebury. Between my farm work, the EcoFarm conference I attended, my favorite class Food Battles, and all the reading I have been doing, I’ve got a bunch of great posts lined up as well as several things to add to the recommended books and websites tabs. So get excited and keep checking back! As our food system and society have industrialized and transitioned away from subsistence agriculture, we are increasingly distanced from our food sources and value convenience and a long shelf-life in food products. Previously, home food preservation methods like curing, drying, and canning were common. 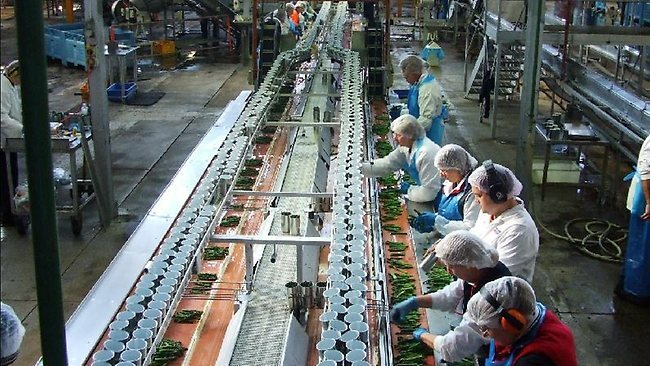 But currently, large companies process and preserve the majority of our food products. Food is therefore more convenient, longer lasting, and its preparation takes up less of our time. We have access to all types of foods at all times of the year. Perhaps most importantly of all, food is safer for us to eat. In order to make food safer, food processors employ techniques such as pasteurization that kill many pathogens present and prevent or slow their future growth. Pasteurization involves heating foods (usually liquids) and then immediately cooling them in order to kill bacteria that lead to spoilage or disease. Though canning and other home preservation techniques are fun and satisfying to try out, industrial food preservation and processing helps bring us a safe, convenient, and diverse food supply. Though pasteurization undoubtedly makes milk and juice safer to drink and longer-lasting, opponents of the process argue that it destroys some of milk’s beneficial health properties and that its universalization makes difficult the production of and access to unpasteurized milk, a healthy and safe product in its own right. The precursor to the modern process of pasteurization was developed by French microbiologist Louis Pasteur, who studied fermentation and found that it was a live microbial process, not just a chemical one as previously thought. Through his experiments, Pasteur proved that air-borne bacteria contaminate and spoil foods and that he could destroy them by exposing them to heat. Pasteur’s process, refined and modernized, would later be known as pasteurization. But pasteurization was not widespread until long after Pasteur died. USDA bacteriologist Alice Evans is many ways responsible for the widespread use of the process. Evans discovered that a common disease among cows, Brucellosis, was being transferred to humans through bacteria (now known as Brucella melitensis) in raw milk. Through her advocating of pasteurization as a prevention of this disease, the US eventually adopted the practice on a larger scale in the 1930s. In modern pasteurization, food is heated to a calculated temperature and held there for a specific time based on the conditions required to kill the most heat resistant pathogenic bacteria in that food. In milk these are Coxiella burnetii and Mycobacterium tuberculosis, responsible for causing Q fever and tuberculosis respectively. The given food is then cooled immediately and quickly in order to avoid remaining at a temperature which could support bacterial growth. Though we might not think about it, the milk we drink makes its way through a pasteurizer like the one above before it gets to us. I don’t mean to say that our milk shouldn’t be pasteurized just because it has to go through the above scary metal contraption. I just that it’s interesting and important to know where our food has been before we eat it. There are several different time-temperature combinations that will give the desired sterility, but in the US milk is most commonly heated to 161 degrees Fahrenheit for 15 seconds, known as high temperature short time or HTST. Under a microscopic view, this heat kills microorganisms by destroying the organic molecules that are essential to their function. The high temperature denatures proteins and changes their shape, weakens bonds in the cell wall, liquefies phospholipids, damages RNA and mutates DNA. Zooming back out, this pasteurization is most often performed on a large scale with a technique known as continuous flow. In this approach, raw milk chilled to 39 degrees Fahrenheit is forced through tubes heated by steel plates surrounded by hot steam or water. In the holding tube, the milk remains at the required 161 degrees Fahrenheit for at least 16 seconds. As the water continues flowing, a temperature sensor ensures it has been sufficiently and evenly heated. If the milk isn’t hot enough, it is pumped back into the initial raw milk tank to be heated again. If the milk has reached the desired temperature, it is chilled with coolant back down to 39 degrees Fahrenheit and stored at that temperature before packaging and shipping. In total, this process kills 99.999% of microorganisms present in raw milk without destroying much nutritional value (Stabel et al. 2004). Though the added safety and extended shelf life offered by this process are beneficial, the pasteurization of foods (mostly milk) stirs up a lot of controversy. Because pasteurization has become standard and legally required in many states, opponents fight for the right to produce and drink unpasteurized, raw milk. It has largely turned from a food safety issue into a political issue. Though I believe the right to produce and consume raw milk should be universal, I also acknowledge that in this debate, much of the science has been traded for politics and sensationalism. Many associate the legality of raw milk consumption with the basic freedom to drink and eat what one wants. Advocates of raw milk claim that the pasteurization of milk destroys many beneficial nutrients, bacteria, and enzymes. As far as modern science can tell, this is for the most part not true (or at least it is not that simple). Though small amounts of some nutrients are lost during pasteurization, milk is not a good source of many of these nutrients compared with other foods. A 1943 study showed that pasteurization destroys about 10% of the Vitamin B2 present in raw milk, 20% of the Vitamin C, and 5% of the soluble phosphorus and calcium (Wilson 1943). There is also a 10% loss of B6 (Schoenfeld 2012) and slight decrease in Copper and Iron levels after pasteurization (Cosano et al. 1994). Raw milk advocates also claim that beneficial enzymes are destroyed during pasteurization. While it is true that pasteurization inactivates most enzymes, many of the broad claims about beneficial enzymes are misinformed or represent a simplified version of the scientific truth. Lactase, for example, is necessary for the digestion of the milk sugar lactose. Proponents of raw milk often point to the lactase content of raw milk as a beneficial digestive aid. In reality though, lactase is synthesized in the digestive system of mammals and is not present in raw milk. While the enzyme lipase is present in raw milk and destroyed by pasteurization, it does not have any beneficial biological function in milk. Lipase “is involved in the synthesis of milk fat triglycerides in the mammary gland and its presence in milk is due [only] to a spillover from this gland” (Deeth 2006). Lipase has the ability to break down the fat in milk, actually causing rancidity. If we were to drink raw milk, the acidity of our stomachs would destroy the lipase present and any beneficial digestive aid that could come from it. Phosphatase is an enzyme present in raw milk that is known to help in the breakdown of phosphorus and calcium. It is completely destroyed by pasteurization and in fact a common test for successful pasteurization is the phosphatase test, which checks that all phosphatase present has been inactivated. Even though the beneficial function of phosphatase has been proven, it seems the variable amount of the enzyme present in raw milk and the effectiveness of this amount in our body is trickier to pinpoint. If there is a study on this matter out there, I could not find it. We can quickly see how complicated the science surrounding this issue gets. In short, though pasteurization does inactivate many enzymes present in milk, the functionality and nature of these enzymes in the milk and our digestion is far too complex to broadly assert that pasteurizing milk kills all good enzymes. As has been made clear by many studies, nutrient losses from pasteurization are miniscule enough for many to consider them insignificant and irrelevant among the larger issues. I think that these nutrient losses are noteworthy and should be acknowledged in order to get a complete view of the issue, but also that they pale in importance to larger questions of policy and safety. It is easy to associate raw milk with an idyllic scene like the one above in which cows are grazed on fresh pasture and hand milked. However, it is not that simple. On a larger raw milk dairy, cows may be milked by machines instead of by hand, held in closer confinement than would be expected, and fed more grain then fresh grass. 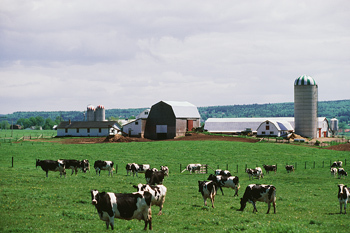 Too often the benefits of good dairy practices are counted among the benefits of raw milk. The two may go together, but aren’t inherently tied. And on the other hand, many caring farmers with sustainable practices may choose to pasteurize their milk. All too often, raw milk advocates really oppose the practices of the larger conventional agriculture system when they say they oppose pasteurization. On a list of “15 Things that Milk Pasteurization Kills,” Marc McAffee includes “the family farm” and “the consumer connection [to farms],” which are threatened by the flood of cheap commodity milk from large far-away dairy operations (McAffee 2012). Truthfully, these threats are consequences of our current agricultural model, not of pasteurization. Defending this agricultural system are federal organizations like the CDC, FDA, and USDA, who strongly criticize unpasteurized milk for its health risks. In reality though, the health risks associated with drinking raw milk aren’t as considerable as the FDA often makes them sound. The CDC found that 60% of the reported disease outbreaks in milk from 1993-2006 were caused by unpasteurized milk (Langer et al. 2012). Pasteurized milk still caused 40% of those outbreaks. Therefore raw milk is statistically slightly more dangerous than pasteurized milk. However, raw milk is not “uniquely dangerous” compared to other foods, raw or processed (Weston A. Price Foundation 2012). According to the FDA branch Center for Food Safety and Applied Nutrition, one serving of deli meat is 10.8 times more likely to give illness by Listeria than one serving of raw milk (CFSAN 2003). It’s true that raw milk is a minimally processed food that can be contaminated by poor conditions. But the majority of the time, farmers who believe strongly in selling their milk raw will take care to maintain a clean, healthy environment in order to produce the safest product possible. As we can tell from the CDC report mentioned above, outbreaks can be caused by pasteurized milk as well: if there is a misstep after pasteurization, harmful bacteria may be introduced to the milk. Clearly, there is inherent risk to consuming any product that comes from a farm or from an animal (i.e. everything we eat). Clearly, milk (including unpasteurized milk) does not cause a large fraction of foodborne diseases. (Image from 2008 Center for Science in the Public Interest report). As I see it, this industrialized food preservation process fits right into our industrialized food production and distribution system. In the conditions of a conventional dairy operation exist many contaminants such as feces and dirt, disease and infection of the cows, and animal vectors like insects and rodents. Even if the cow is exceptionally healthy and clean, contamination of the milk by surface- or air-borne bacteria is always possible. Milk must often survive hundreds of miles and several days in transport. Pasteurization helps it to do so. Together with the rest of the food system, the sterility and extended shelf-life offered by pasteurization help make milk cheap, widespread, and safe. However, pasteurized milk’s lower price and ubiquity does not mean that it is objectively preferable to unpasteurized milk. I can personally attest to the superior taste of raw milk and I enjoy drinking such a fresh, minimally processed product. I believe that everyone should have the right to drink or produce it. Though I can definitely see the place and value of pasteurization in our food system, I believe that every state should legalize the retail sale of unpasteurized milk as to encourage diversification rather than standardization. Current state laws, whether they prohibit retail sale or all sale of raw milk, should be changed so that farmers who can’t afford pasteurization equipment or wish to sell raw milk on ideological grounds can do so and have an equal opportunity in the market. For me this policy surrounding unpasteurized milk is the biggest downside of pasteurization. The most problematic aspect of the pasteurization debate is the close-mindedness of each side that prevents them from acknowledging the validity of each other’s arguments and keeps pasteurized and raw milk producers and advocates at odds when they could work together to create a balanced, diversified food system in which policy supports both approaches. In the diagram above, a herdshare is a method of buying raw milk in states which may outlaw other sales of raw milk. In a herd share, you are technically buying a fraction of the animal (e.g. 25 people each own 1/25 of a cow) and not its milk. Together, you and the other shareholders own the whole cow. You pay the farmer to take care of your cow and get your own cow’s milk. “The Dangers of Raw Milk: Unpasteurized Milk Can Pose a Serious Health Risk.” Food Facts from the U.S. Food and Drug Administration. U.S. Food and Drug Administration, 17 June 2013. Web. 21 Feb. 2014. “Fresh Unprocessed (Raw) Milk: Safety, Health, and Economic Issues.” A Campaign for Real Milk. N.p., 9 Nov. 2009. Web. 15 Feb. 2014. Kesser, Chris. “Raw Milk Reality: Benefits of Raw Milk.” Chris Kresser. N.p., n.d. Web. 16 Feb. 2014. Langer, Adam J., Tracy Ayers, Julian Grass, MIchael Lynch, Frederick J, Angulo, and Barbara E. Mahon. 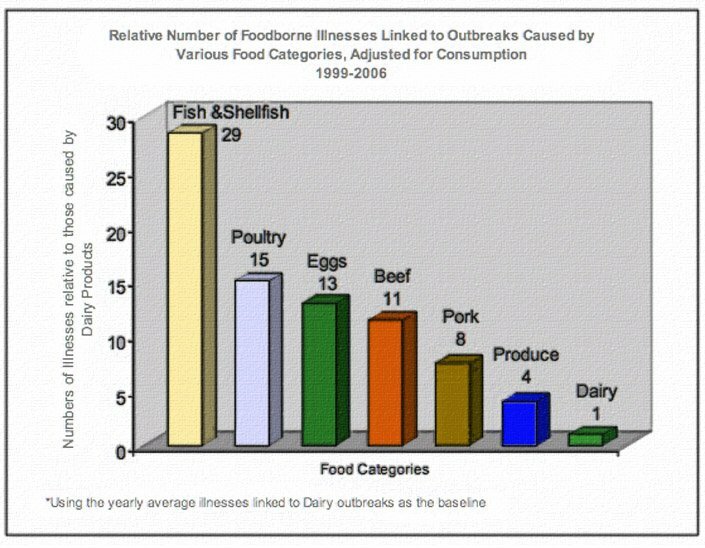 “Nonpasteurized Dairy Products, Disease Outbreaks, and State Laws–United States, 1993-2006.” Emerging Infectious Diseases. Centers for Disease Control and Prevention, Mar. 2012. Web. 15 Feb. 2014. “Louis Pasteur: Pasteurization/Vaccines.” Inventor of the Week: Archive. Massachusetts Institute of Technology, Apr. 2003. Web. 20 Feb. 2014. McAffee, Mark. “The 15 Things That Milk Pasteurization Kills.” A Campaign for Real Milk. N.p., 3 Aug. 2010. Web. 21 Feb. 2014. “Milk Enzymes.” Milk Facts. N.p., n.d. Web. 15 Feb. 2014. “More About Enzymes.” Raw Milk Facts. N.p., n.d. Web. 16 Feb. 2014. “National Women’s History Museum.” Education & Resources. National Women’s History Museum, n.d. Web. 15 Feb. 2014. “Pasteurization: Definition and Methods.” International Dairy Foods Association. International Dairy Foods Association, June 2009. Web. 15 Feb. 2014. “Pasteurization.” University of Guelph Food Science. University of Guelph, n.d. Web. 16 Feb. 2014. “Raw Milk Questions and Answers.” Centers for Disease Control and Prevention. Centers for Disease Control and Prevention, 28 Feb. 2013. Web. 15 Feb. 2014. “Raw Milk: What the Scientific Literature Really Says.” Real Milk. Weston A. Price Foundation, n.d. Web. 15 Feb. 2014. Schoenfeld, Pam. “Vitamin B6: The Underappreciated Vitamin.” Vitamins and Minerals. Weston A. Price Foundation, 1 Apr. 2011. Web. 15 Feb. 2014. Wilson, G. S. “The Pasteurization of Milk.” U.S. National Library of Medicine National Institutes of Health. British Medical Journal, n.d. Web. 15 Feb. 2014. Zurera-Cosano, G., R. Moreno-Rojas, and M. Amaro-Lopez. “Effect of Processing on Contents and Relationships of Mineral Elements of Milk.” ScienceDirect. Elsevier B.V., 2014. Web. 15 Feb. 2014. This entry was posted in Everything and tagged canning, CDC, drying, enzymes, FDA, food preservation, Louis Pasteur, Pasteurization, raw milk, USDA, vitamins. Bookmark the permalink.